Showing what should be logic defying impossible moves. Below is what Kenneth Brandon had to say when he played with the Gear cube Extreme for the first time. What a wonderful challenge! 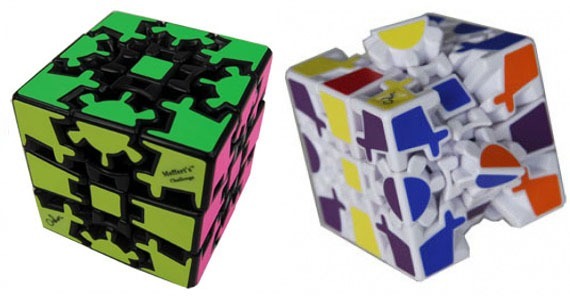 The Gear Anisotropic Cube is an awesome puzzle! I am very much enjoying it. 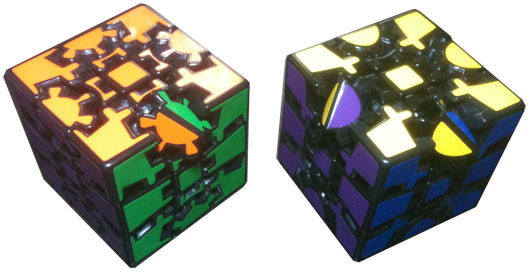 I’ve had about 6 hours with them and so far I am able to solve the one with the original stickers. The one that has four stickers per edge (based on the Tony Fisher’s label design) is harder and requires an extra step. I have not found an algorithm to orient the edges on this one. (I’m sure I’ll find one soon.) While I can solve the Gear Cube in under 20 seconds, the Gear Anisotropic Cubeis taking me about 7 minutes per solve!